Sophie Mackintosh’s debut novel, The Water Cure, is the story of three sisters living an occult existence on an island off “the mainland” one fateful summer when they have their first experience with men other than their father. Yep, that pretty much sums this one up. Grace, Lia and Sky have been raised on an island away from civilization for their entire lives. (view spoiler) Grace is pregnant, though she’s only ever even seen one man her entire life, her father. Lia is in the middle of a summer without love; the summer that the men arrive, she’s been chosen in one of the family’s rituals to be the person who goes without love until names are picked out of the bag again. Sky is childlike and innocent, wholly dependent on their family unit and unwilling to stray from its teachings. So, when King, their father dies, and the mother and three daughters are left alone on the island, anything can happen. 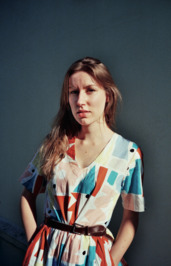 Sophie Mackintosh won the 2016 White Review Short Story Prize and the 2016 Virago/Stylist Short Story competition, and has been published in Granta magazine and TANK magazine among others. The Water Cure is her first novel. This sounds very intriguing- I will look for it when it comes out!